Explore the heart of Madrid on a 1-hour Segway tour and see sights like the Royal Palace, Almudena Cathedral, and Plaza Mayor from the safety of a self-balancing vehicle. 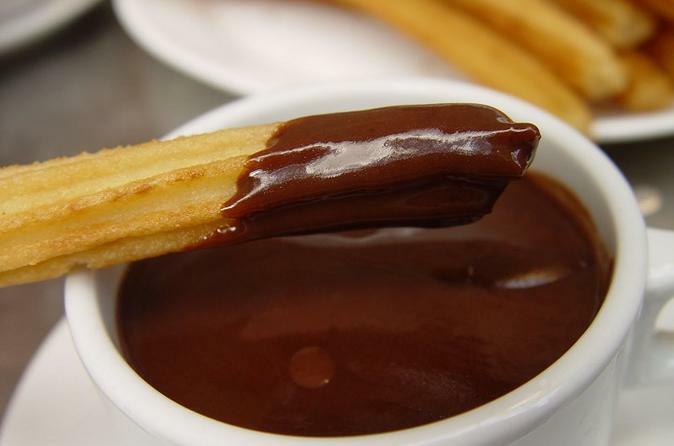 Enjoy traditional chocolate and churros at the San Onofre bakery in the marvellous San Miguel Market. Climb aboard an eco-friendly, self-balancing Segway for a short but comprehensive tour of Madrid’s historic heart, and discover many of the main monuments from the Middle Ages and Modern Age. Meet your guide in Plaza de San Miguel for a brief training session. From there you make your way to Plaza de la Villa, one of the oldest in the city and home of a 15th century palace and the beautiful Casa de la Villa, Madrid's old town hall. Then, cruise over to Armory Square, where you can admire two of the city's most important landmarks: the Almudena Cathedral and the Royal Palace. Enjoy the grand Plaza de Oriente as you glide towards the Sabatini Gardens and the Royal Theatre. Continue down Calle Arenal, a lively commercial street, and finish at Puerta del Sol, the true heart of Madrid. Drive your Segway back to Plaza de San Miguel and stop by the historical San Miguel Market for a hot Chocolate and Churros in the most famous bakery of Madrid, San Onofre.